Cannabis may not be something you’d expect to be reading about here, but rest assured this oil is all above board. 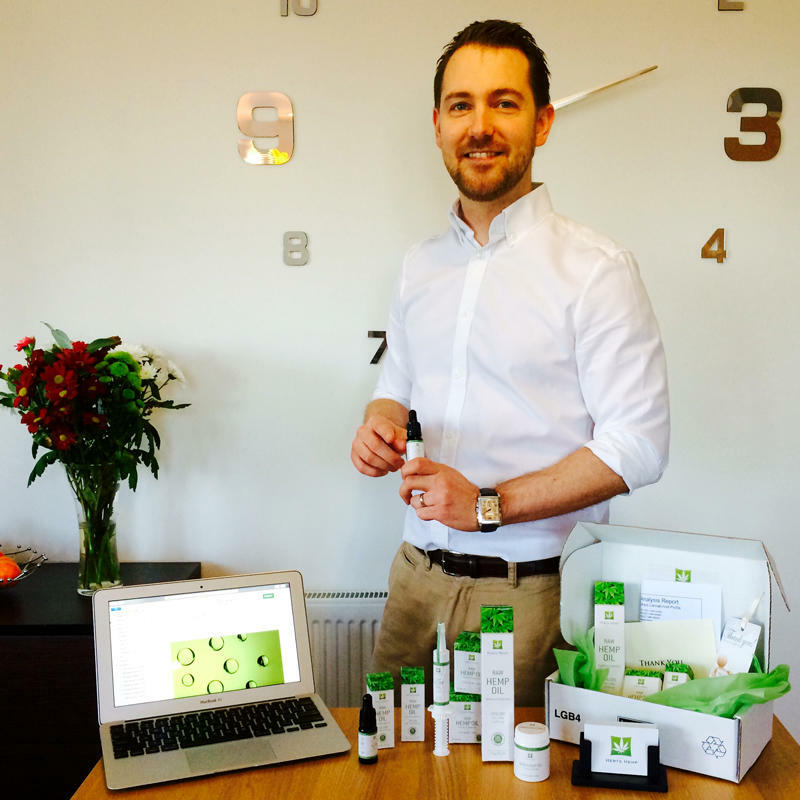 Two years ago, Hakan Hemstrom from St Albans, Hertfordshire watched a very emotional documentary online that brought Cannabidiol (CBD) – extracted from the cannabis plant - to his attention and led him to embark on this somewhat controversial but interesting journey. He is now on a mission to increase awareness of the oil and to produce high quality and safe products with guaranteed CBD concentration that are accessible and affordable to everyone and yes, this is 100 per cent legal because cannabidiol, unlike cannabis, is not considered a controlled substance. 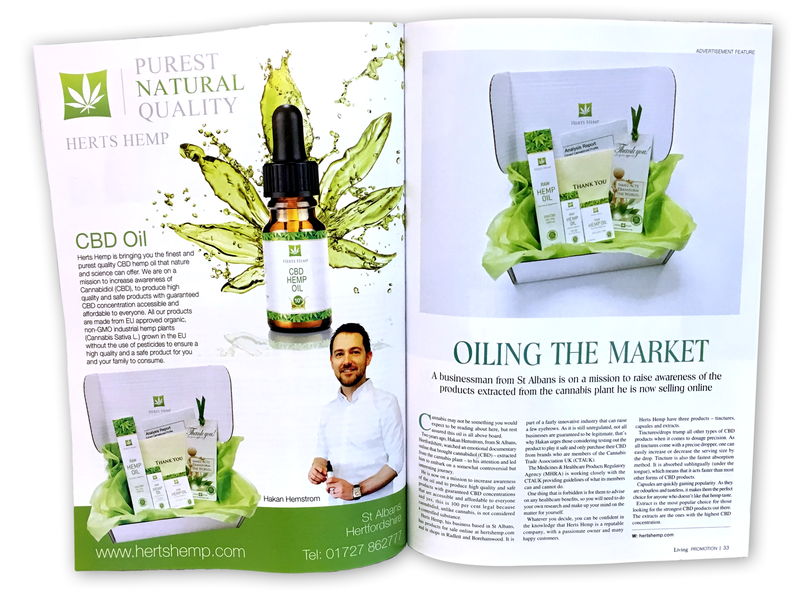 Herts Hemp, his business based in St Albans, with products sold online at hertshemp.com and in shops in St Albans, Radlett and Borehamwood, is part of a fairly innovative industry that can raise a few eyebrows. 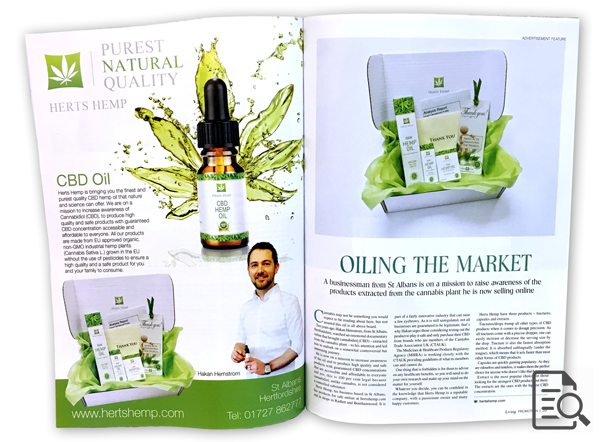 As it is still unregulated, not all businesses are guaranteed to be legitimate, that’s why Hakan urges those considering testing out the product to play it safe and only purchase their CBD from brands who are members of the Cannabis Trade Association UK (CTAUK). The Medicines & Healthcare Products Regulatory Agency (MHRA) is working closely with the CTAUK providing guidelines of what its members can and cannot do. One thing that is forbidden is for them to advice on any healthcare benefits, so you will need to do your own research and make up your mind on the matter for yourself. 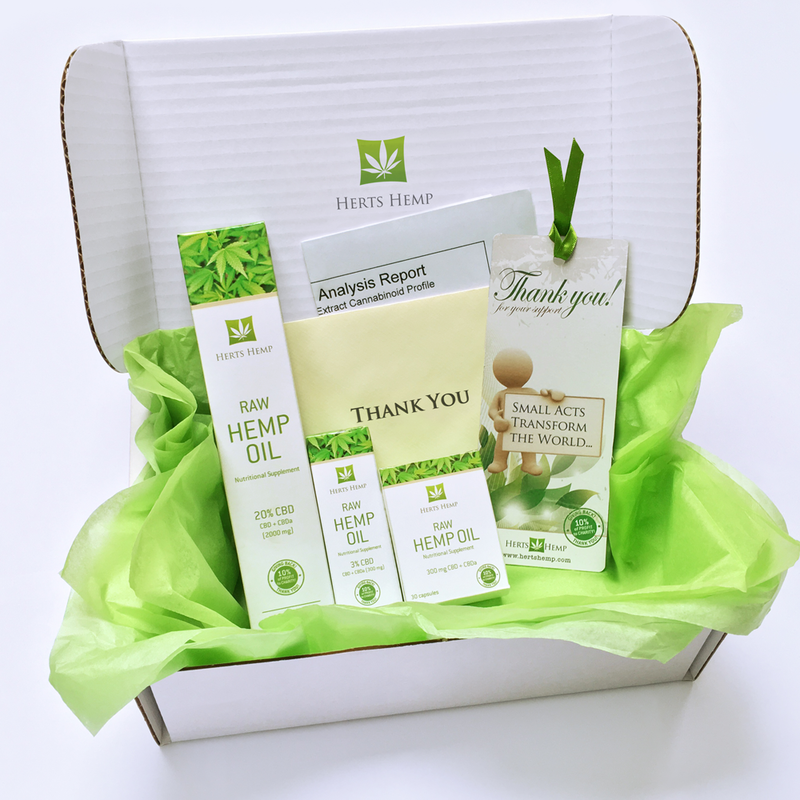 Whatever you decide, you can be confident in the knowledge that Herts Hemp is a reputable company, with a passionate owner and many happy customers. Herts Hemp have three products: Tinctures, Capsules and Extract. Tinctures trump all other types of CBD products when it comes to dosage precision. As all tinctures come with a precise dropper, one can easily increase or decrease the serving size by the drop. Tincture is also the fastest absorption method. It is absorbed sublingually (under the tongue), which means that it acts faster than most other forms of CBD products. Capsules are quickly gaining popularity. As capsules are odourless and tasteless, it makes them the perfect choice for anyone who doesn’t like that hemp taste. Extracts is the most popular choice for those looking for the strongest CBD products out there. Extracts are the ones with the highest CBD concentration.